PTW utilizes several true type fonts to display and print generated reports. If these fonts are not available/installed, then PTW reports may display and print strange characters. 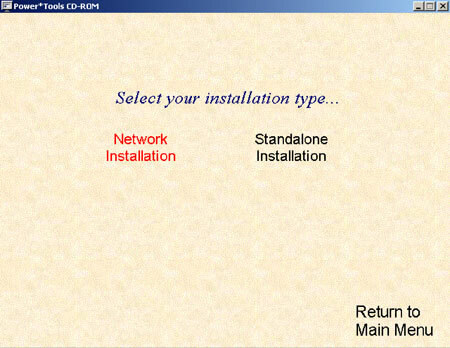 Typically, installation of fonts used by PTW is needed only when you do not have the software installed on the local machine. 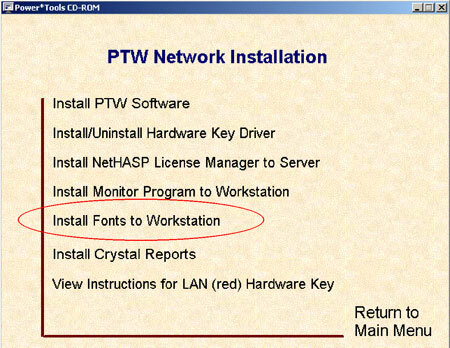 In other words, PTW fonts only needs to be installed when running the software from a remote computer such as a server. 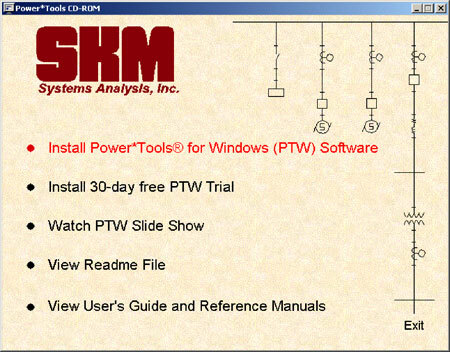 Step 1 - 1Load the PTW installation CD into the CD Drive and select the 'Install Power Tools for Windows (PTW) Software' from the first menu screen (if the menu does not show up, run setup.exe file from the root directory of the CD). Step 4 - Select Add Font Files to install the fonts. 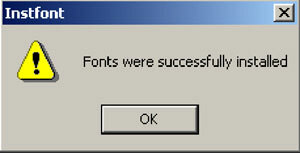 Step 5 - The fonts have now been successfully installed.